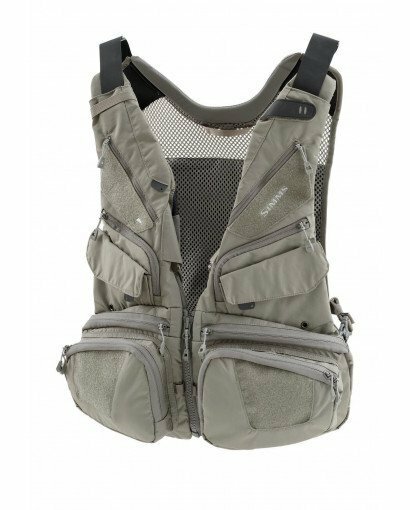 Simms has a lot of bells and whistles in this vest... It can even attach to a G4 Pro or Waypoints backpack for longer trips. 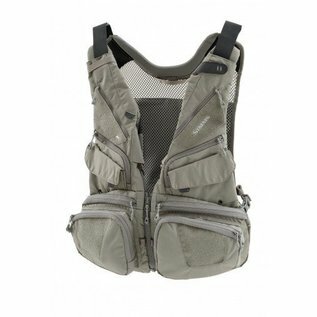 The collar and shoulders are padded for more comfortable longer fishing. There are 2 rectractors, magnetic tool docks and tons of pockets for boxes. The zipper can also be used as a quick clip.